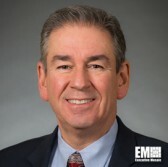 Dave Wajsgras, president of Raytheon’s intelligence, information and services business, on Tuesday conducted a cybersecurity discussion with Virginia Gov. Ralph Northam and Kathleen Murphy, a Virginia state delegate. The University of Virginia’s six-member student team that won in a Raytheon-sponsored national cyber contest also took part in the discussion at the company’s Northern Virginia campus, UVA’s School of Engineering said Thursday. “With experiences like those offered at the National Collegiate Cyber Defense Competition, you all are starting to be in the position to solve our most critical cyber challenges,” said Wajsgras. Wajsgras, a four-time Wash100 recipient, cited the role of states in promoting cyber partnerships between universities and industry and the need to support outreach to companies in order to increase their cyber threat awareness. Northam discussed the need to expose individuals to training opportunities that would prepare them for 21st century jobs, while Murphy highlighted the importance of seeking insights on cyber challenges in order to come up with legislation.